I went to Bandit Brewery recently for a flight of beers and some snacks. The place has a raccoon theme so all their glasses have faces and you can even buy fun posters of the beer labels in their Bottle Shop. I had a flight of four beers: I had the Citra, Hoppelganger, Mr. Pink and Dundas West IPA. They serve it in the order that they recommend you drink them. My favourite was Mr. 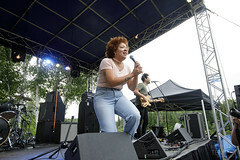 Pink, a flavourful hibiscus and ginger pale ale. It was around lunch time, so I had a few snacks: Fresh Cut Russets and Beer Battered cheese curds. The cheese curds with homemade ranch dressing were to die for and the perfect beer snack. The fries were covered in parmesan and a served with a lovely garlic mayo. I loved the concept of this brewery and they even have funny identifications of their patrons! I love cider, so everytime I see a new one at the LCBO I must try it. This Reinhart one is by the same people who make Apple Cider and baked goods, so they had to know what they were doing with their apples. This cider was light, not too tart and had a crisp taste. At only 3.8% alcohol, this is more for pleasure drinking than a night out of the town. 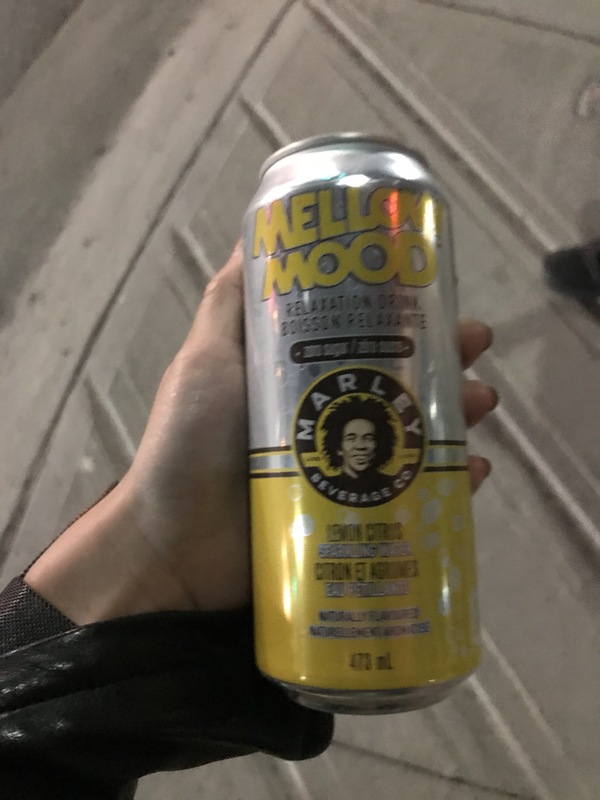 A few weeks ago, outside of a music festival, some promo people were handing out cans of Mellow Mood for free. It was a super hot day so I took one thinking the calming part wouldn’t work and I instantly got calmer and sleepier. It’s a non alcoholic drink with camomile, lavender and other natural calming agents. It must be a high concentration of these things because as soon as I hit the pillow I was fast asleep and had the best sleep ever. Whatever this is worked I guess but the flavour I had didn’t taste very good. Propeller is super close to where I live, so it’s probably going to be my go-to for beans when I am lazy. Their coffees are award winning and deservedly so. The dark roast is bold but has the nice profile of chocolate & caramel, making it go down super easy. In Toronto, I’m blessed with a lot of local indie coffee shops that sell local brews. I picked up this Heritage blend by Pilot Coffee Roasters. I loved this blend. It requires no sugar (in fact I feel like sugar ruins it!) and there is a lovely tone of swiss chocolate and toffee when you add just a bit of cream or milk. These are some of my favourite beans so far. In my latest coffee adventure I decided to try the Muskoka Roastery’s “Howling Wolf”. This one was actually available at Longo’s. The roast was a medium dark roast. It was full of flavour but smooth enough that people usually into medium roasts can still enjoy it. What are your favourite non-commercial coffee beans? I want to try them all! 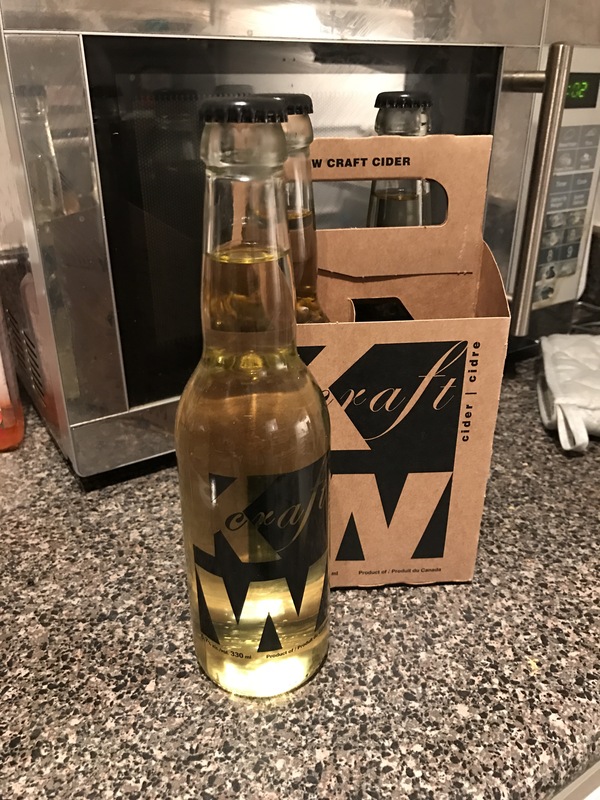 This weekend I picked up some KW Craft Cider. I’ve never had it before but I was drawn to its minimalistic packaging. It is named after the Kitchener-Waterloo region where the brewery is based. At 6.7%, I found the cider rather easy to drink, was only slightly tarty, but full of flavour. In fact, I drank all four no problem at a party. I found this Java Works French Roast at Winners. It is a blend of premium selected high grown Arabica coffees from the Latin Americas and the Asia Pacific regions. This coffee was full-bodied and flavourful. I didn’t find it too bitter and it had a light sweetness. There’s ton of coffees in the Java Works line so I’m excited to try some more.